The weather forecast for today is sunny spells, scattered showers with risk of hail and thunderstorms…so it must be Otley Show day, it’s a standing joke here that it always rains on show day! It’s the first in the show calendar around here and it’s also the oldest one day show in the country, it’s the 208th show today! There’s quite a big handicraft tent with lots of competitions which I’ve entered pretty regularly for the last twenty years. Two years ago I was determined to win the cup for most points in the handicraft section, something that had always eluded me. I entered every class I thought I could rustle up an entry in (which really means everything except knitting!) and with a change of tactics I entered more than one item in each class. It worked, I won the cup. Last year I decided to try and defend it, again I entered two items per class and again I brought the cup home. This year I’m going back to my usual number of entries, just what I happen to make over the year, the only entry I’ve made specially for the show is a padded coat-hangar. So if I win it this time, no one else is trying!! I’ve entered my Great Getaway bag I made in January. 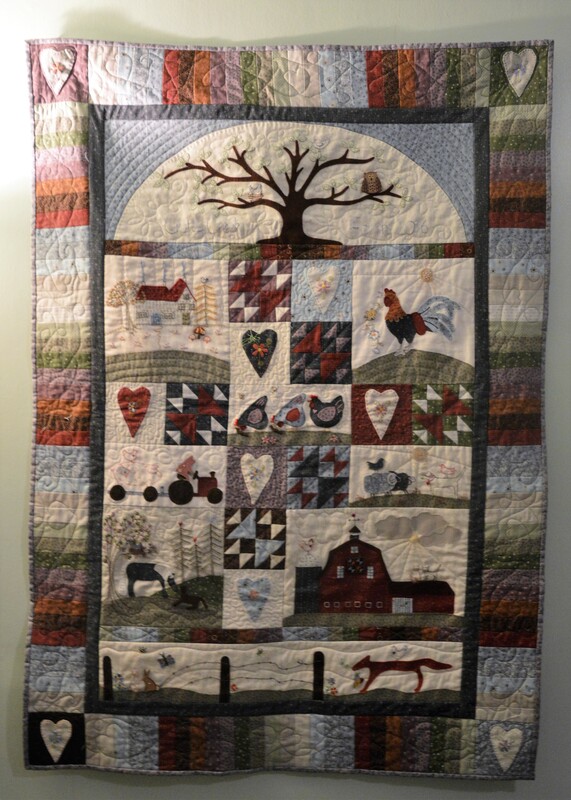 …and my Anderson Farm quilt. 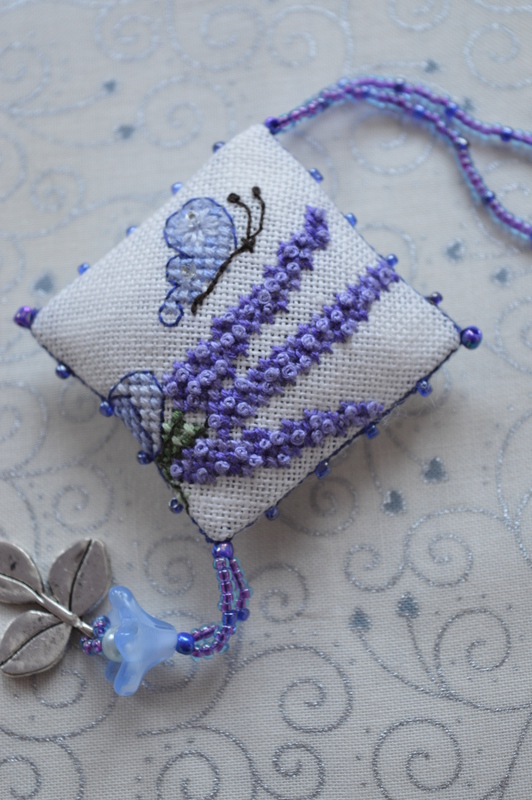 Last month I embroidered a lavender sachet from a pattern by Faby Reilly, it’s really pretty. I decided to make a padded coat-hanger to go with it. Of course I left it until last night to start! I’ve made padded coat-hangars since I was an impoverished student nurse in London, they made pretty but inexpensive Christmas presents! Over the years I’ve made them using several different methods, but I think I’ve finally found a neat way of making them. I cover the hangar with polyester wadding, the thicker the better. The hook is covered with a rouleau loop, I’ve got a rouleau loop turner now and it does make life easier. 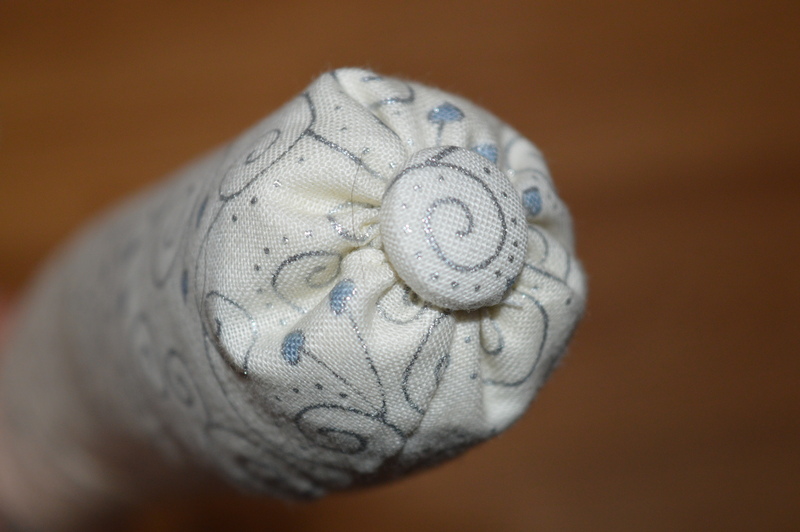 I make a tiny hole in the middle of the fabric and ease the hook through it. I can then slip stitch the fabric over the wadding with a smooth, neat seam underneath. 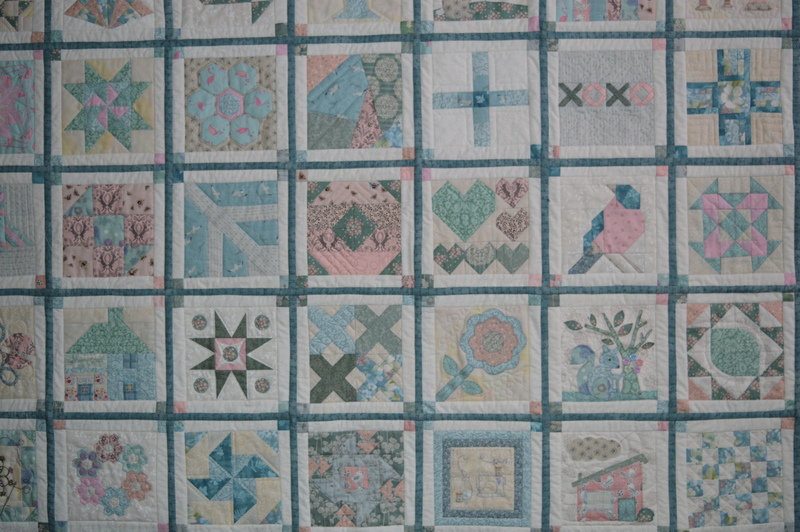 I chose a quilting cotton for this one which has silver swirls on, it seemed to pick out the twinkle of the beads. To neaten off the ends I turn them under and then gather them tightly. The little hole that is left can then be covered up with a pretty button. 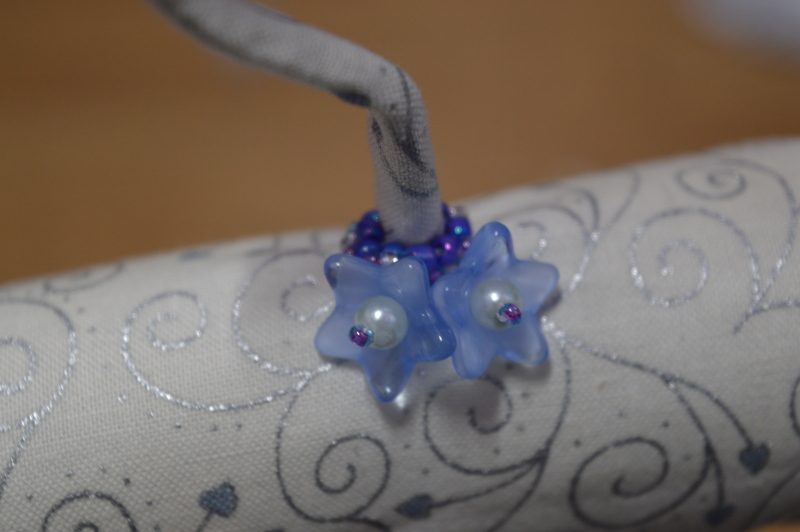 I often just tie a ribbon around the hook but to link the sachet with the coat-hangar I decided to stitch some of the beads around the base and then added two of the flower beads. I can neatly tuck the sachet beads under the flowers to finish it off. 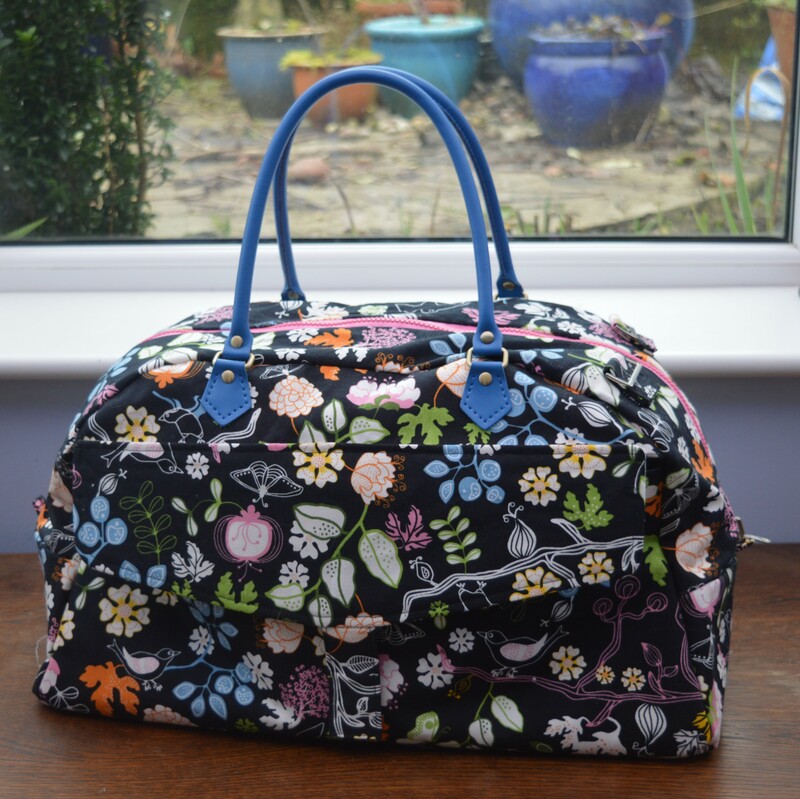 This entry was posted in Serendipity, Sewing and tagged Great Getaway Bag, Padded coat-hanger, Quilt. Bookmark the permalink. Thanks for your support, but the cup is a numbers game, most points gained over 10 classes, 3 for a 1st etc, the maximum I could get is 11 points,last year I entered 14 items!!! If those beautiful items don’t win, the judges must be blind! I especially love your getaway bag. I bet it really was stressful, trying to come up with multiple entries in multiple categories! What you have this year looks marvelous–good luck! Best of luck. I am so impressed with the ends of that coathanger, how to do them nicely and neatly has been an issue for me. Thanks Cathy, I keep wondering about doing a tutorial on coathangers, just not got round to it yet! I think all of your entries are winners. Good luck! Thanks Mary, I’ll find out this afternoon! I love entering things at the county fair here. It’s fun to win a prize but it always makes me feel part of the community too. I would do it even without a win. Your entries are definitely going to give the judges something to ponder. That bag is so well made and the fabrics are so perfect together. 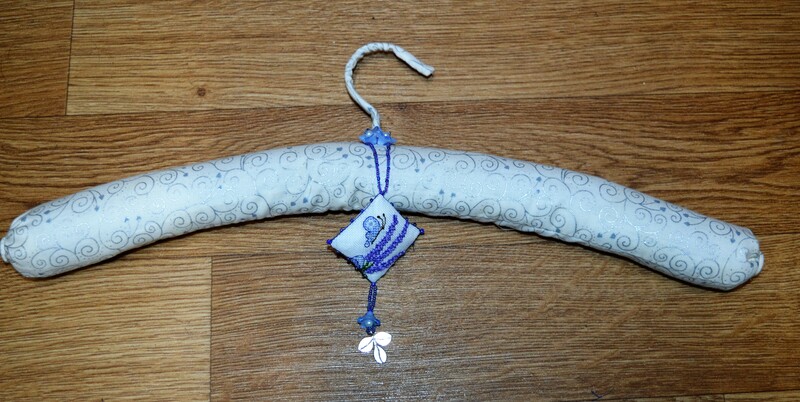 Your quick and easy padded hanger is lovely, what a great gift idea, especially for a bridal shower…thanks for that! The quilts are WOW, but that category is always more difficult here…there are pros that make us generalists look like beginners! Yours will stand up tall no doubt! Good luck! Good luck! Your items are beautiful so you should definitely get close! Though these things can get quite political at times. What an amazing body of work, your quilts and embroidery are beautiful. I’ve never attempted covering a hanger but your’s has inspired me. I reckon you should win! Good luck! My daughter and I thought we might enter a few categories in our local show this year. The Emley Moor show. Go for it Lucie, it’s great fun! I’m considering the Emley Show too. Wish we had a more local one, but I have to travel out of town to join in. How did you get on? Any ratings this year? ?